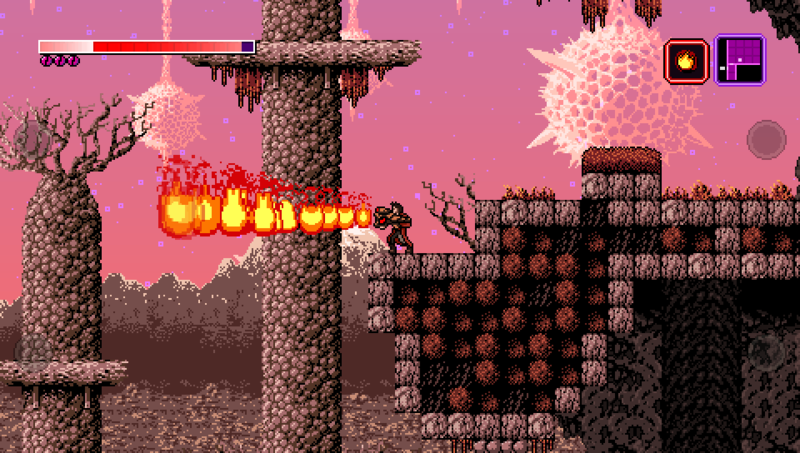 Axiom Verge on Vita: Instant Classic Goes Pocket-Sized | "DESTROY ALL FANBOYS!" Hey! That’s what we Vita owners are supposed to be saying to YOU, game! Thanks for showing up when you’re most needed, though. 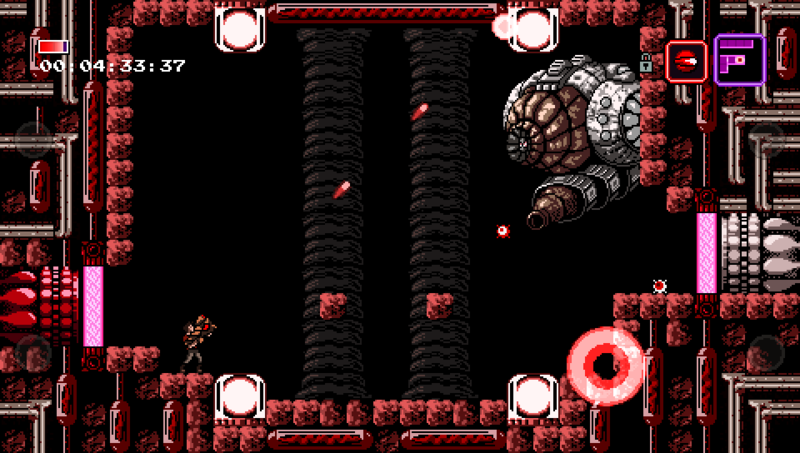 While I’ve only sampled a bit of Thomas Happ’s outstanding and astounding retro action game Axiom Verge last year at Indiecade, it impressed me more than enough to want to play it as soon as it was released. Then I heard it was coming to the Vita and decided to hold my breath and wait because that powerful but plagued by a few issues handheld needs more top-drawer games like this. VERY blue in the face later (*gasp! *), it may have taken a while to port over (it wasn’t a simple process at all), but it’s out now on PSN for $19.99 (Cross Buy with the PS4 version AND 10% off for a limited time) and it’s a must for Vita users worldwide. Got get it and prepare for a total blast. From what I played on the PS4 last year, the game is a fantastic mix of retro game challenge and messes with your head as it allows you to use intentional glitches as means to further your progress. If you don’t have a Vita or PS4, fear not. 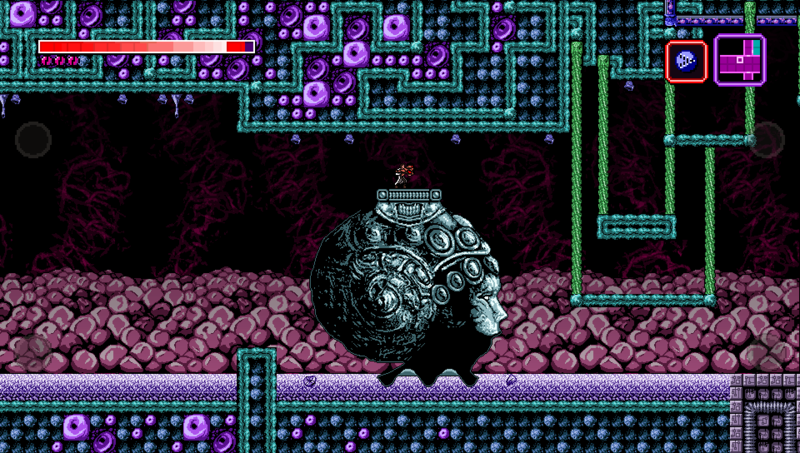 PC owners can buy the game directly from the Axiom Verge site, on Steam or through the Humble Store. 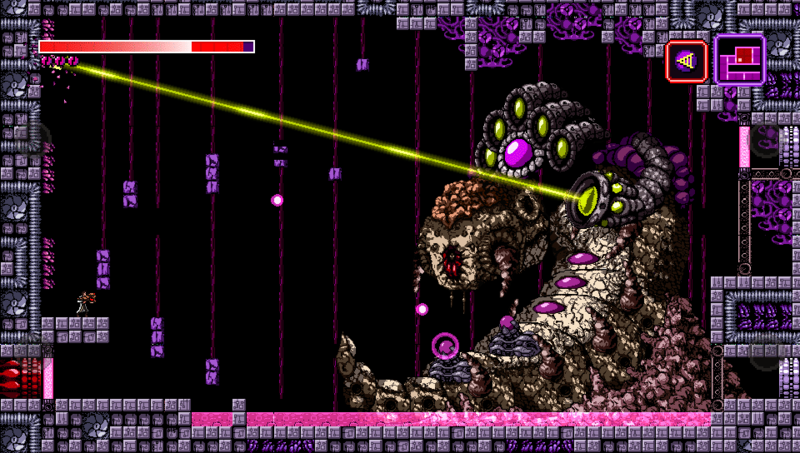 The game is also headed to Xbox One and Wii U at some point this year, so you kind of have no excuse NOT to play this one. Well, unless you hate great games and supporting indie developers, of course. 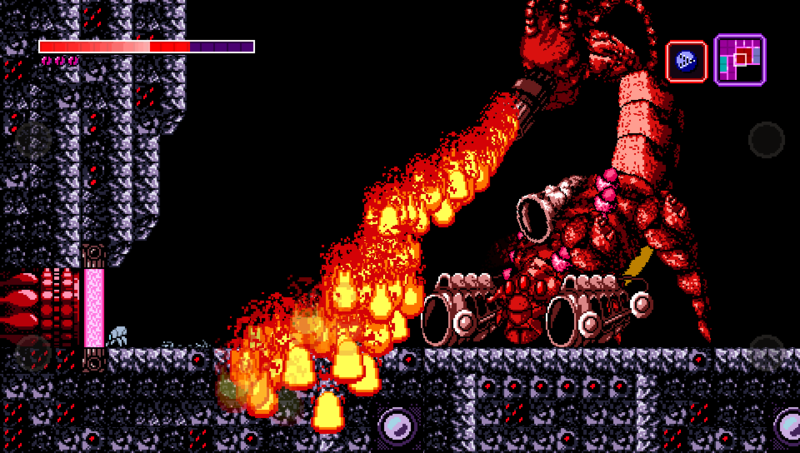 This entry was posted in 2016, Commentary, DAF, Features, Humor, Updates and tagged Axiom Verge, BUY THIS GAME!, Digital Games, Downloads, Indie Games, PlayStation 4, PlayStation Blog, Playstation Network, PlayStation Vita, PS4, PSN, SCEA, Screenshots, SEN, Sickhead Games, Sony, Thomas Happ, VGA 101, Videogame Appreciation 101 by geelw. Bookmark the permalink. I have it on PC. 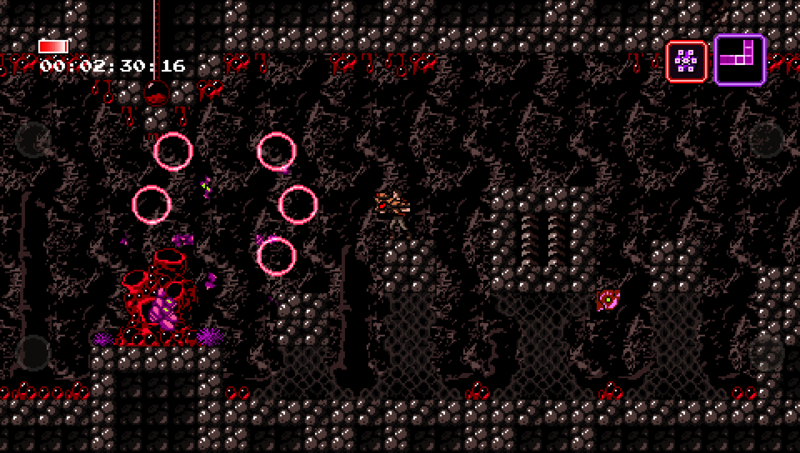 But vita feels like the perfect place to play this. Going to wait for a sale and get it. Funny, I thought the same thing last year about playing this on the Vita. It was on such a big TV at Indiecade that HD visuals aside, it was almost too overwhelming seeing those pixels grinning back at me. It’s 10% off now, but I guess it’ll go on a more affordable sale during the usual summer/fall/winter PSN deals. I’m not sure how low it will go as Happ could use the money for some personal/family stuff noted on his blog. We shall see, of course. Didn’t know that about Happ, I’ll get it once I can afford it.